Kurion Inc, an Irvine, California start-up that aided in stabilizing Japan's Fukushima Daiichi nuclear-power station, is acquiring Impact Services Inc.'s GeoMelt business, which converts soil, debris and other material contaminated by radioactivity or hazardous chemicals into glass, a process known as vitrification. 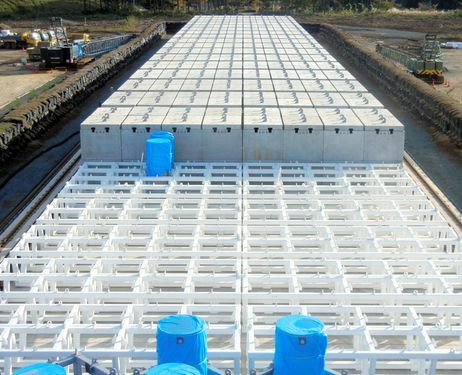 The vitrification process is conducted inside large containers at a contaminated site. Impact Services, which is based in Oak Ridge, Tenn., filed for bankruptcy protection last week. The acquisition could help Kurion Inc enter the field of cleaning up radioactive material left behind by Cold War weapons programs. Kurion is looking for business opportunities after helping Tokyo Electric Power Company with its stricken Fukushima Daiichi plant. Set up four years ago, the start-up became an unexpectedly crucial player in cleaning up the crippled reactor after last year's earthquake and tsunami in Japan. Kurion's technology, a substance used to filter nuclear waste, removed radioactive cesium from contaminated water at the plant. Last month, Kurion signed an agreement with the U.S. Department of Energy's Pacific Northwest National Laboratory to test vitrification technology, which Kurion is hoping to commercialize for use in cleaning up radioactive waste generated by nuclear-weapons programs. The cleanup activity is dominated by big civil-engineering companies. Bechtel Corp.'s Bechtel National Inc. and URS Corp. are building a $12.2 billion plant for the DOE at Washington state's Hanford site. About 56 million gallons of waste, some of it in leaking tanks, is stored at the site, where plutonium for atomic bombs was created. The GeoMelt technology may help Kurion enter the cleanup market, in which the DOE spends roughly $6 billion a year. 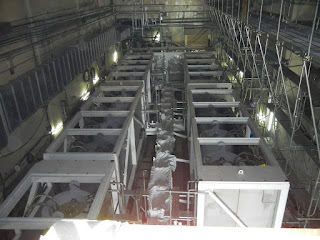 The department already is considering the GeoMelt vitrification process for use at Hanford. 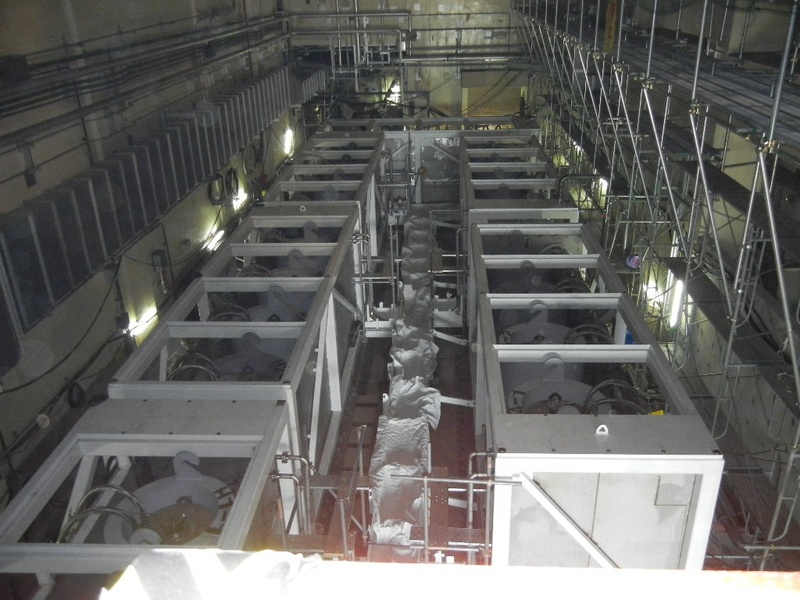 Kurion also may use the GeoMelt technology at Fukushima Daiichi, where the company designed a system to clean contaminated water and recirculate it as coolant for damaged reactors. Kurion hopes it can use the technology to treat soil and debris at the site, much of which was covered with radioactive substances after a series of explosions at the facility. Impact Services licensed the GeoMelt technology from GeoSafe Corp., which is part of the deal, and is extending a perpetual world-wide license to Kurion.